Tickets:Benefit for Culture Club Members: Ticket cost Rs. 200/- against Rs. 300/- (Flat discount of Rs. 100/- per ticket) + 2 tickets will be offered/card on showing Culture Club membership cardTicket for Non-Members: Rs. 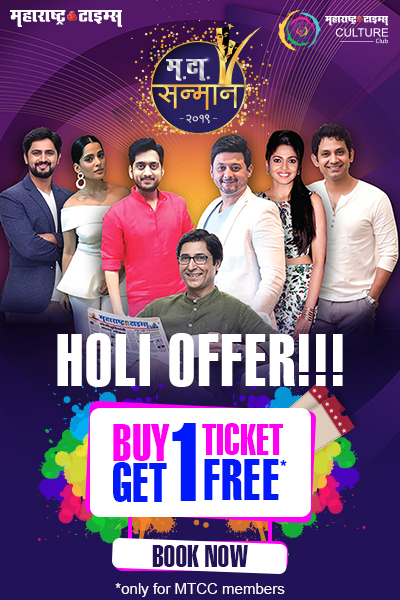 300/- per personTicket selling is on at Gadkari Rangayatan between 08:30 am to 11:00 amFor phone booking: Call on 9323149333Queries:For any doubt send an SMS – MTCC <space> your card number followed by your question to 58888.